For the last five years, the Hirsh family has vacationed at Half Moon in Jamaica. 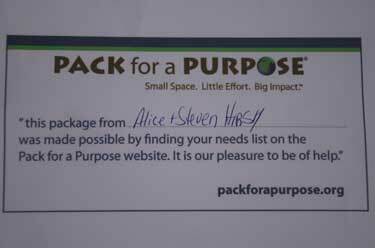 This is the second year that we have Packed for a Purpose. We were so happy to be able to involve our granddaughters who are seven and five years old in this wonderful philanthropic endeavor. We went shopping together and helped our granddaughters, Phoebe and Mallory, select items to bring from the needs list. We were so very excited to bring deflated soccer balls this year as part of our donation which were supplied by Passback Soccer who partners with Pack for a Purpose. 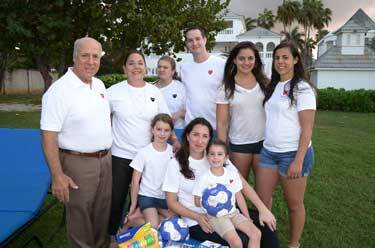 We are hoping that the Hirsh family will continue to remember PfaP on all of our trips for years to come.